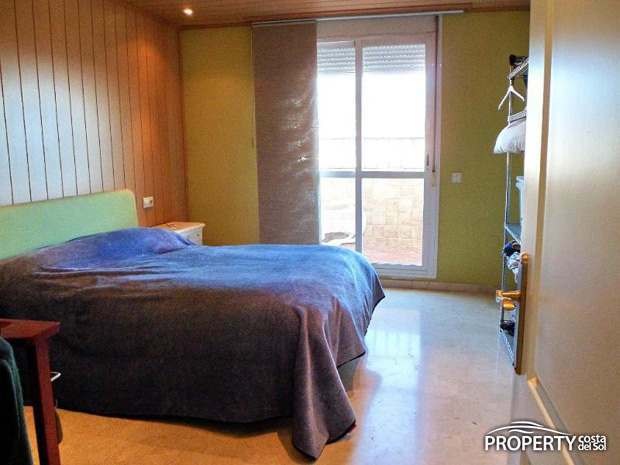 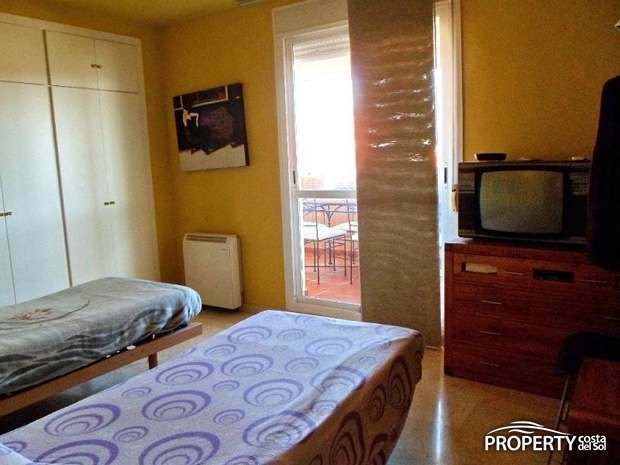 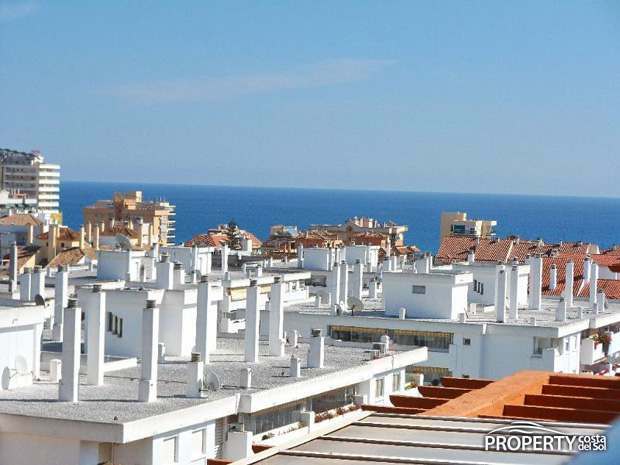 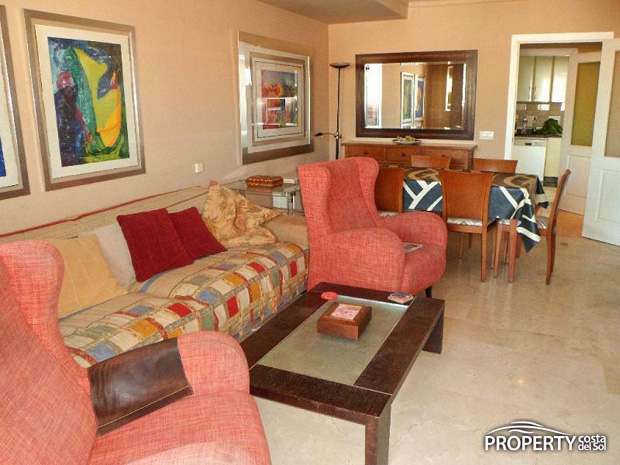 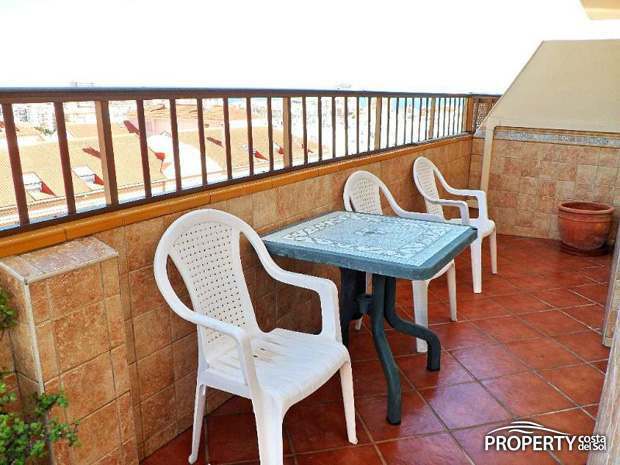 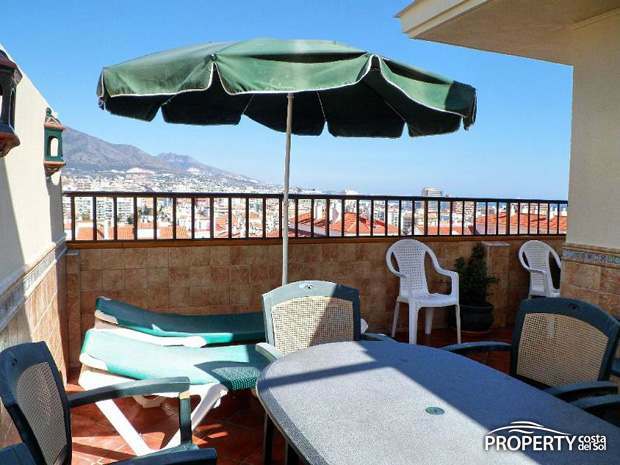 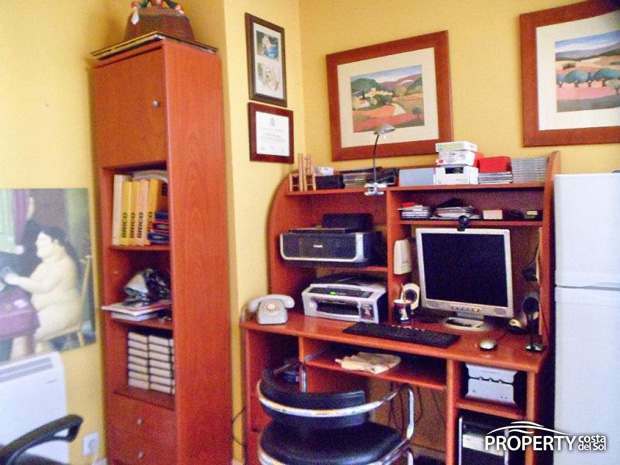 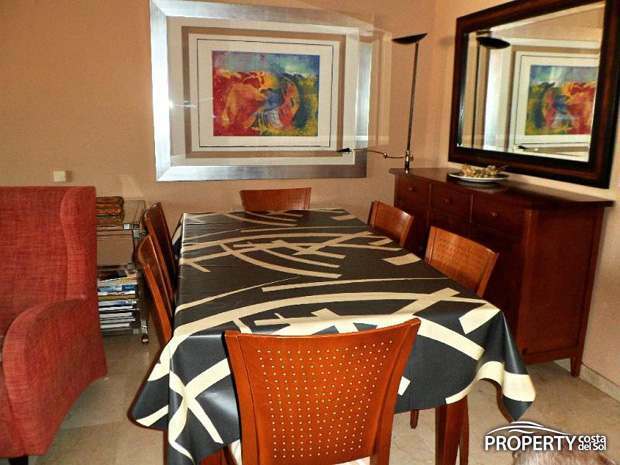 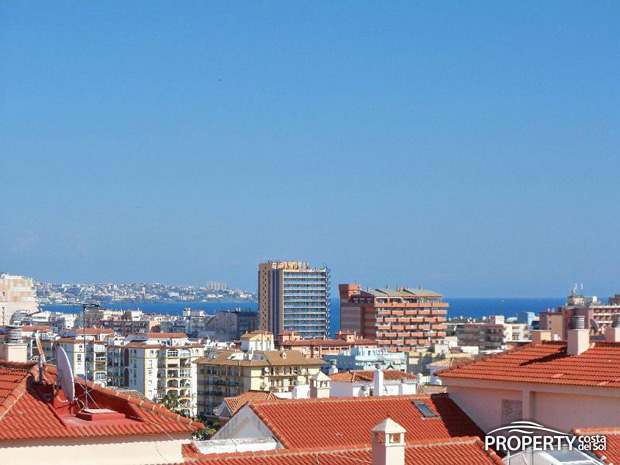 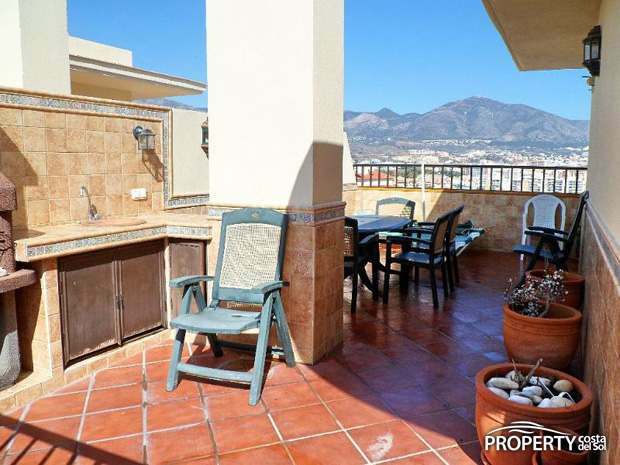 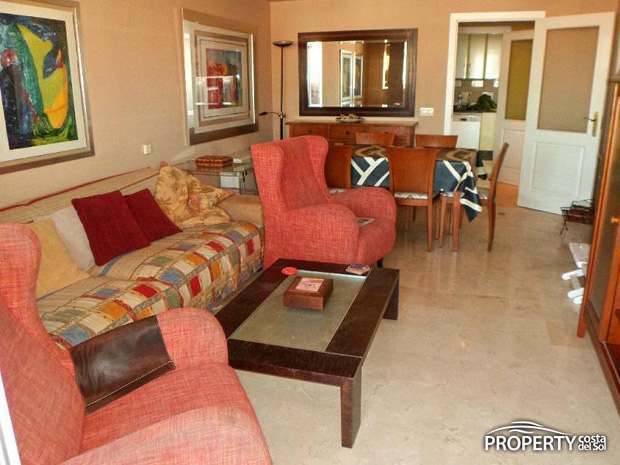 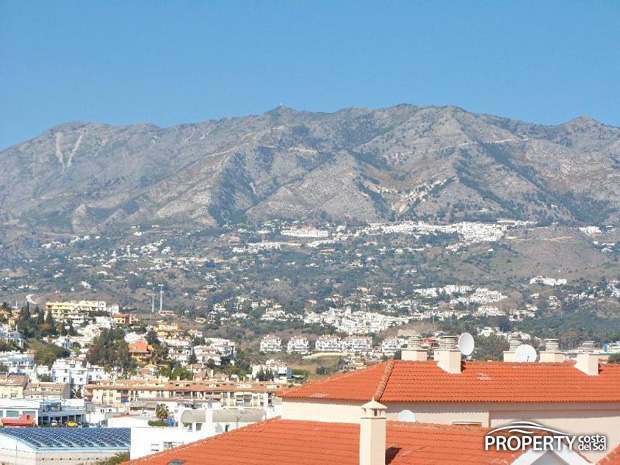 Large duplex penthouse in Fuengirola. 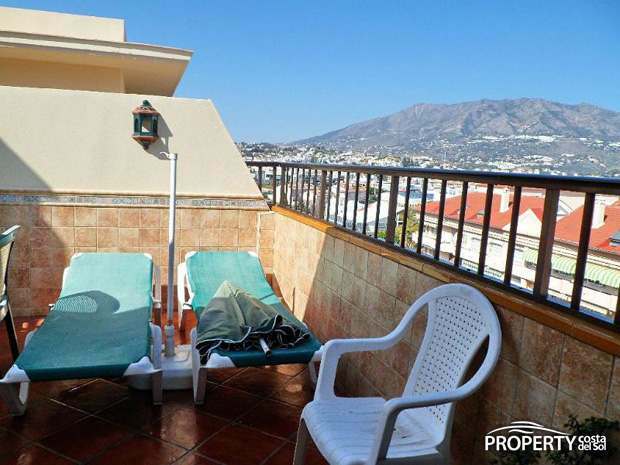 The apartment consists of entrance with spindel staircase to the top floor, good sized lounge with access to the east facing terrace, spacious kitchen, closed terrace with washing facilities, 2 bedrooms and 1 bathroom. 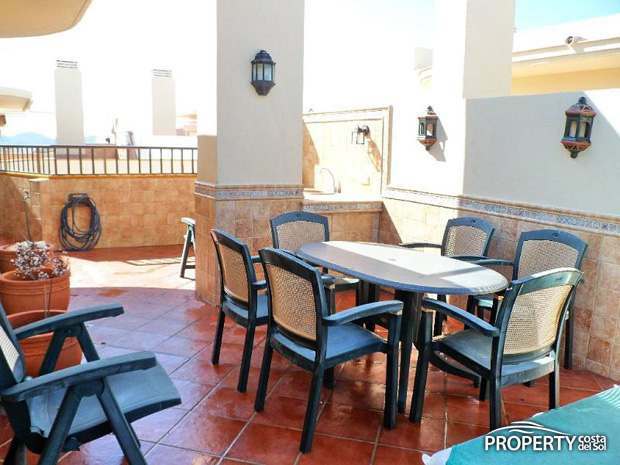 On the top floor we have 2 bedrooms, 1 bathroom, and a large terrace with outdoor kitchen and BBQ. 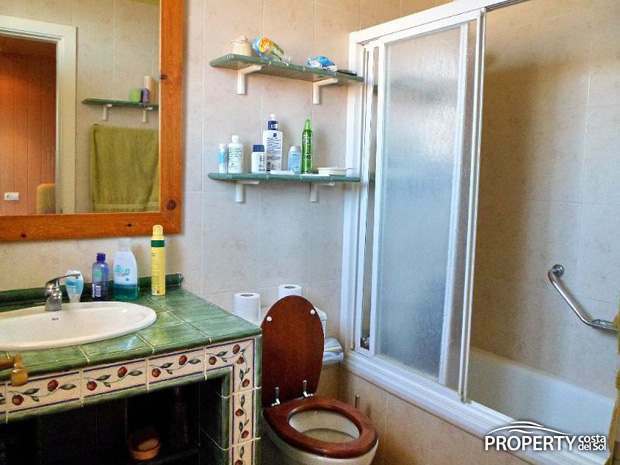 There is a community garden with a good sized pool. 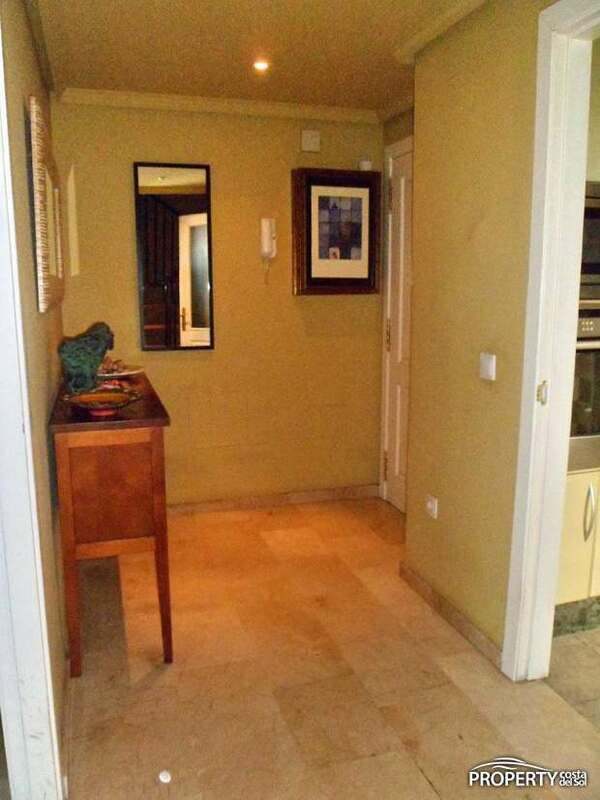 There is short walking distance to shopping, restaurants, and the beach. 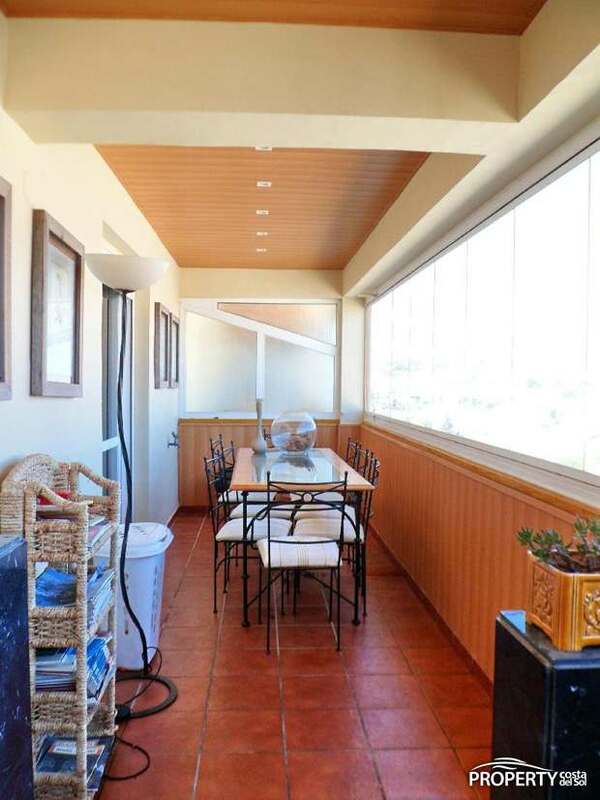 Furthermore it is possible to buy 2 parking spaces and a storage in the basement of the building. 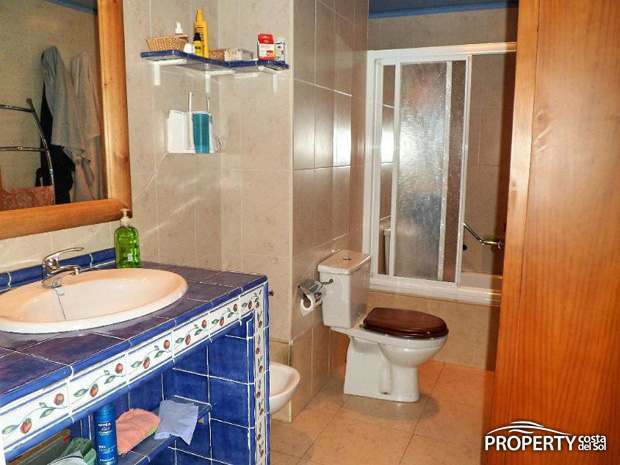 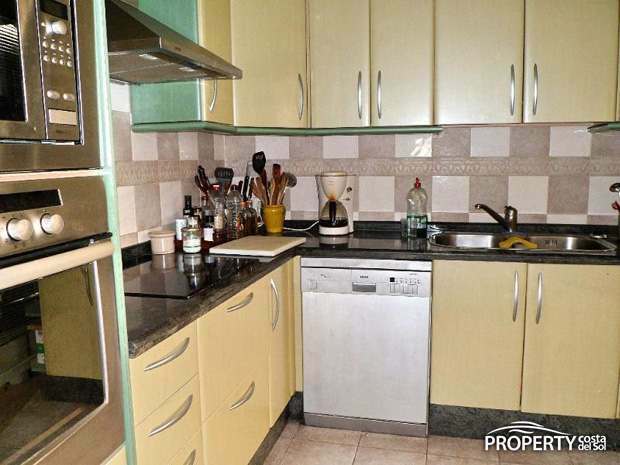 Yes, please send more information about this property with ref.no: 744.